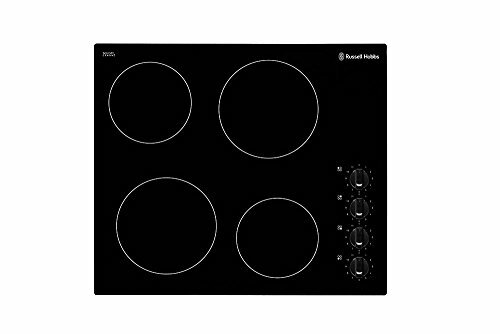 This Russell Hobbs electric hob has a sleek and modern black Schott glass base, sure to make a statement in your home. With Schott glass, the RH60EH502B is more durable, sustainable and of a higher quality. 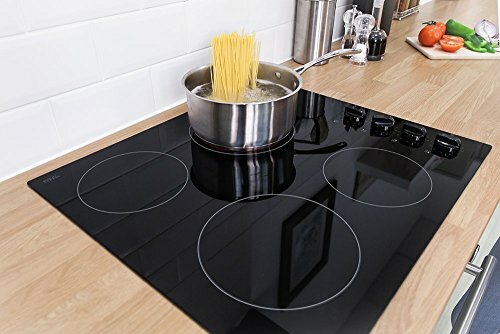 This black glass hob has 4 individual cooking zones allowing you to cook a variety of different dishes at the same time. 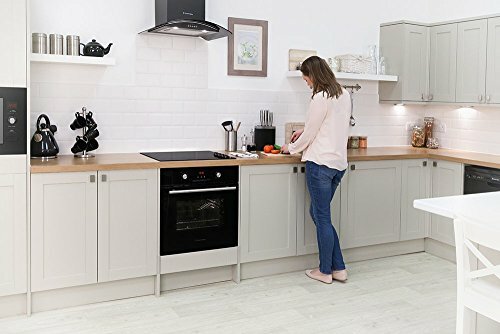 The 4 different cooking zones include 2 rapid zones and 2 semi-rapid zones with a variety of wattages ranging from 1200 to 1800. 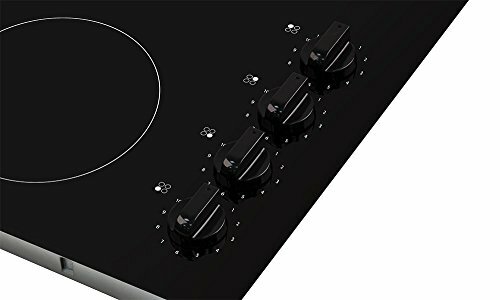 For your convenience, this Russell Hobbs hob has manual control dials that independently adjust the temperature of your heat zones. 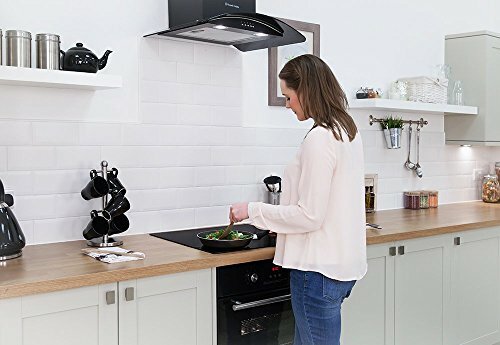 This means that you can control the temperature of each cooking zones, ensuring that your food is cooked perfectly every time. 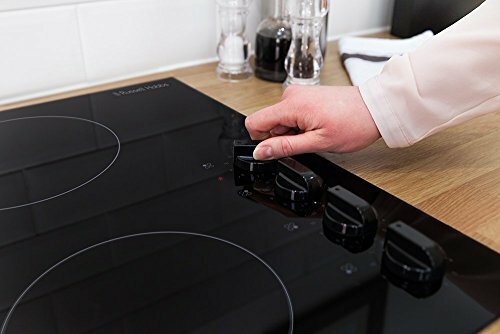 With the easy to use touch control, increase or decrease the temperature at the quick touch of a button. 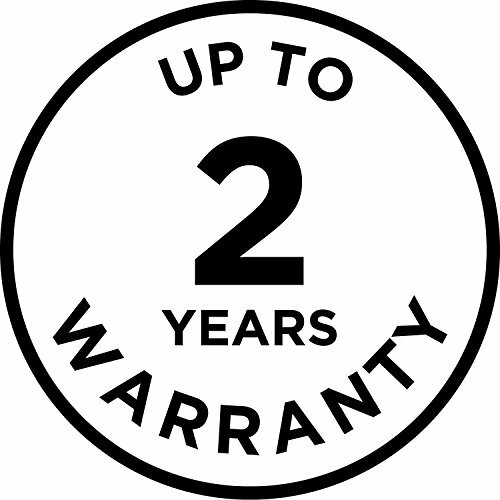 The RH60EH402B also comes with a hot surface indicator for your peace of mind. 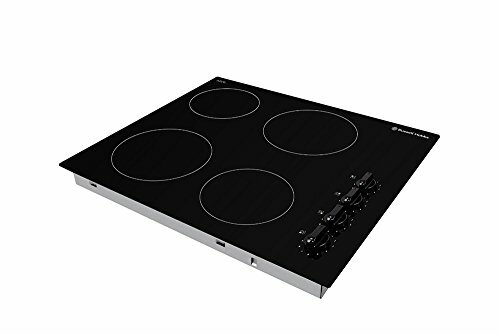 This will let you know when your hob is cool to touch, perfect if there are children in the home. 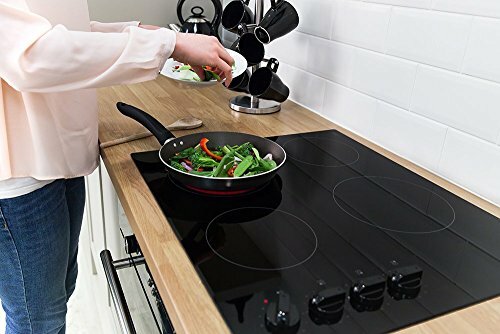 This black glass hob also has a child lock feature, meaning that you can lock the touch controls on your hob so that the temperature can't be altered.